Africanized killer honeybees are slowly moving further into the United States, including the Los Angeles area. A hybrid of European honeybees and a species of African bees, this aggressive pest will quickly populate your backyard, and if threatened, they will go after your family and pets. If you or your neighbors start to notice Africanized bees in their yards, educate yourself about these bees to protect your family. Here are the answers to a few frequently asked questions about Africanized bees. Why Were Africanized Honeybees Created? The story of the killer bee began in Brazil in the 1950s. Scientists combined the genetics of a docile European honeybee with a more aggressive African bee. The goal was to create a hybrid that would produce more honey than the European honeybee without being overly aggressive. Unfortunately, the final product was a new species that did not produce more honey and was highly defensive of their colony. Thousands of bees escaped the lab and spread throughout South America. They eventually moved through Mexico and now reside in several parts of the southern United States, including California. What Do Africanized Honeybees Look Like? Africanized bees look very similar to a typical honeybee. They are yellow with darker bands of color, are oval in shape, and have six legs, wings, and two antennae. The only difference is that Africanized bees are slightly smaller. The behavior of the bees and the location of the bees' nest are great ways to tell if you have European bees or Africanized bees. European honeybees will look for pollen in larger groups and during the middle of the day, especially when the weather is sunny. Africanized honeybees will often collect pollen on their own or in smaller groups and will head out during the morning and evening. European honeybees will build nests in more secluded, aboveground areas, such as the hollow of the tree or inside of a damaged wall. Africanized honeybees will often build nests underground or in the open from a tree trunk. Why Are Africanized Honeybees Dangerous? A single Africanized bee is not deadly. The insect's venom is the same as the African bee, and if you are stung by a single killer bee, the sting will be painful, but you will not suffer any serious complications. What makes Africanized bees so dangerous is their aggressive nature and that they will continuously attack if they feel threatened. When a single Africanized bee stings an individual, it will release a scent that will signal the other bees in the swarm to attack. Once the Africanized bee colony is agitated, they will remain on alert and ready to attack anyone who threatens the hive for a full 24 hours after the initial incident. This species is also adapted to live on very little food for long periods. If the food becomes too scarce, the colony will leave the nest and take over a new backyard or area that has more sustenance. What Should I Do If I Encounter Africanized Honeybees? Seek shelter: Rush into your home, car, or any enclosed space. The bees will follow you for up to 1/4 of a mile, so running is not a viable option. Never swat or crush the bees: Swatting or killing the bees will only make the swarm more aggressive. When you stomp or crush the bee, it will emit an odor that will single more bees to swarm. Forget jumping in water: Africanized bees will not leave if you jump into a lake or pool. Instead, they will wait for you to jump out and will continue to attack any exposed areas. If you are stung several times, watch for the signs of a severe reaction to the venom. They include nausea, swelling, rashes, trouble breathing, lethargy, a burning sensation, or fainting. If you experience any of these symptoms, or if you are allergic to other types of bee stings, call 911 immediately. Can I Get Rid of Africanized Honeybees on My Own? The professionals should be the ones to eradicate a hive of Africanized bees. The bees will sense any disturbances around their hive and will not hesitate to strike. A professional will have the tools and skills necessary to effectively remove the hive and Africanized bees from your backyard. Africanized killer bees are a dangerous pest that can terrorize a backyard and put your family and pets in danger. 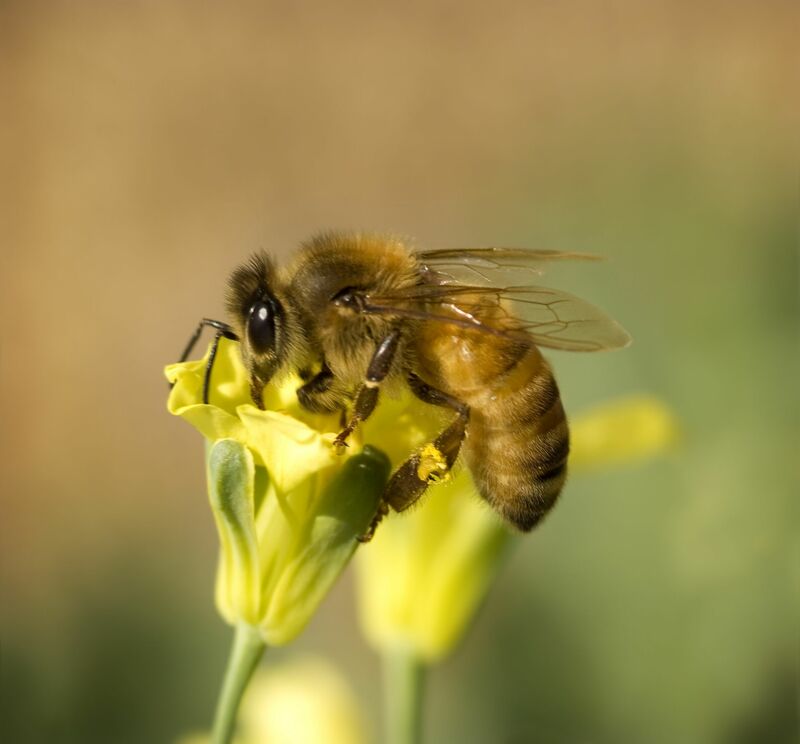 If you suspect you have an Africanized honeybee infestation on your property, or if you have any questions, contact the professionals at Greenleaf Organic Pest Management.